We start with the only man from North Korea on the list, Han Kwang Song. Han we talked about back in October and looked then at the impact he is having on Italian football. The player who has a potential rating of 87 on FIFA 2018 showing clearly a lot is expected of him. The 19 year old started 2017 in the youth team at Cagliari in Serie A, he was then an unused sub for the first team against Lazio in March. He built on from this scoring a 95th minute consolation goal from the bench in a 3-2 defeat against Torino. Despite making an impact in the second half of the season for Cagliari in August 2017. 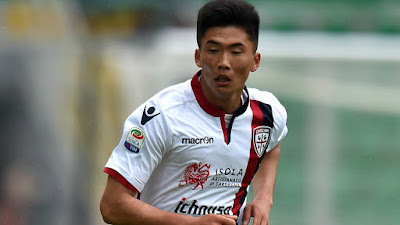 Han was sent out on loan to Perugia in Serie B. He made a big impact straight away when at the end of August he scored a hat trick in a 5-1 win against Virtus Entella. Overall he's played 17 games so far this season with 7 goals in total. This great form from the 19 year old as attracted interest from around Europe with it being rumoured Arsenal and Juventus are looking to make a move. His value at the moment is around £500,000 but you would expect with the way he is improving this will rise rapidly. It looks like 2018 will be a very big year for Han Kwang Song and he is for sure one to look out for. It would be fair to say Ki as not had the best 2017 along with his club Swansea City. He however played a key part towards the end of last season in helping them stay in the English top flight but this seasons been another relegation battle. 2017 took another bad turn when Ki started the season with a knee injury and did not play a first team game till the 14th October. He did then get back in to the team but as since been dropped for the last three games. Ki am sure will now be looking for a better 2018, with it also being a World Cup year. This better 2018 looks like it could be away from Swansea also, when this week Moyes confirmed he was interested in bringing the South Korean to West Ham. The 33 year old Japanese midfielder as had a solid 2017 for his club. The Eintracht Frankfurt player as managed 20 games in 2017, a year that's been taking up with a knee operation in March. This meant that Hasebe did not make a first team appearance from February till the start of the 2017/2018 season on the 20th August. This season has also involved injuries with him missing 6 games through injury. The player with 106 caps for his country will be hoping that he can put his injuries behind him and travel to Russia this summer also. The last time he pulled on the Japan shirt he captained them in a 3-1 defeat to Brazil on the 10th November. Kagawa in his second spell at Borussia Dortmund a lot of people would argue is the best player playing presently to come out of South East Asia, although am sure Son of Tottenham would have something to say about that. Kagawa as had a strong 2017 in Dortmund managing, 35 games, 5 goals and 13 assists in these games. The much decorated Japan star in European football will surely be one of the first people on the plane next summer to Russia after a very solid 2017. Unlike some of the players we've talked about Kagawa as had a little or no injury worries for 2017 and am sure he is hoping this will continue. 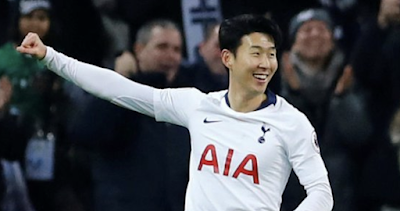 Son I think it would be fair to say as enjoyed the best year of his career in 2017, the Tottenham and South Korea striker managed 59 games and 27 goals in 2017. He is playing upfront with Harry Kane at present, a player being talked about as one of the best in the world and this can only be helping his game. With 2018 looming and like with a few others mentioned eyes turning to Russia it will be interesting to see how Son plays in the second half of the season with his club side looking stronger by the game and Champions League football to look forward to. It is fair to say Son is a very impressive player and am sure 2018 will see him improve further as be becomes ever present in Mauricio Pochettino side.